The original slip 'n' slide!!!!! 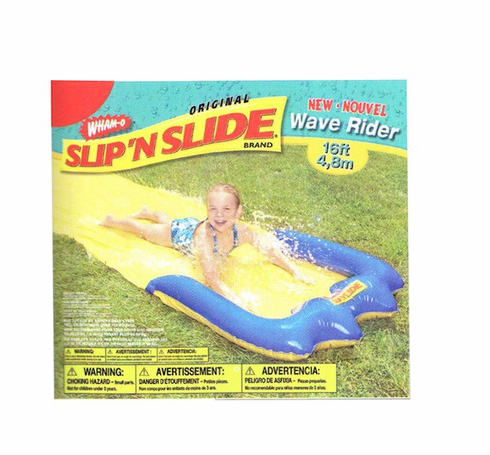 16 feet of super splash action as you slide through the water spray tunnel. Make sure there are no rocks beneath the slide. That path leads to many tears and much limping.